AWESOME! That’s the word describing the Panama humanitarian project undertaken by District 6080 Clubs this year, according to Panama Project committee chair Jim Wieberg of the Jefferson City Breakfast Club. Rotarians throughout District 6080 collected four pallets worth of clothing, sporting and ambulatory equipment and books to help destitute populations in Panama – that’s 150 boxes of goods to make life better for needy families in Central America. 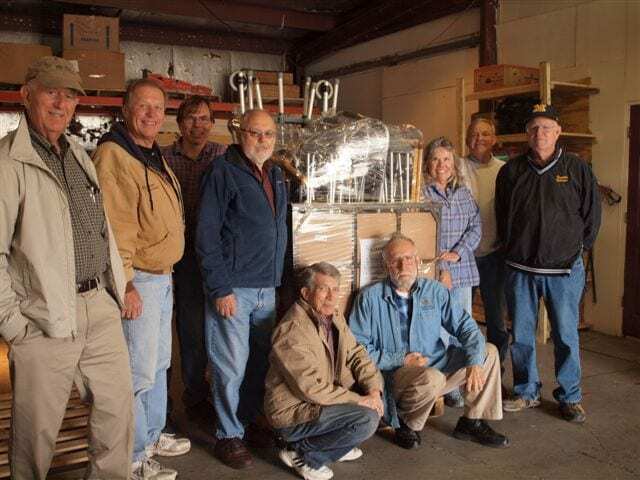 On Saturday, November 3rd, Rotarians from the Jefferson City Breakfast and Fayette Rotary clubs sorted, boxed and palleted the items for shipment to Panama. In the spring, the U. S. Navy will transport the pallets to Panama as part of their “Operation Handclasp” initiative. The Panama project committee has also raised $1,500 necessary to transport the items to the appropriate Navy port. “We have had such a great relationship with Rotarians in Rotary District 4240 – which encompasses Panama,” said District Governor Mark Pearce. “It routinely amazes me as to how effective we can be when we’re working together on an outstanding project. THAT – is the power of Rotary,” said Pearce. He also praised Jim Wieberg and the entire Panama Project committee for being proactive throughout the process and providing all the necessary logistics to make such a project possible. “Rotarians – This is another instance in which you have done something outstanding for others in the world. I look forward to seeing what amazing things you’ll be doing in the coming years. YOU are the example,” said Pearce.